The Department of Personnel and Administrative Reforms is primarily responsible for the personnel policies of the State Government, services matters, training of officials, administrative reforms, pension matters, vigilance matters, reservation in services etc. 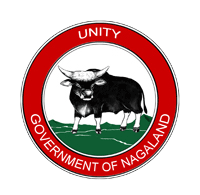 The Department is the cadre controlling authority for the IAS (Indian Administrative Service), NCS (Nagaland Civil Service) and NSS (Nagaland Secretariat Service). It is also the Administrative Department of the Administrative Training Institute, the Vigilance Commission, the Nagaland Public Service Commission and the Nagaland Information Commission. The Department is headed by the Commissioner & Secretary who is assisted by three Joint Secretaries, one Organization & Method Officer, One Senior Research Officer, two Under Secretaries, and other supporting staff. Formulating rational personnel management policies for all Departments that will increase efficiency in Government and ensure proper career planning for officers. Laying down procedures, standards and norms in recruitment, regulation of service conditions, postings, transfers, deputations and pension matters and providing advice to Departments on all matters related to public service. Ensuring fairness in recruitments and promotions by adherence to merit and established procedures. Maintenance of Government Records in a systematic manner.